Buy 10 or more for $1.99 each. 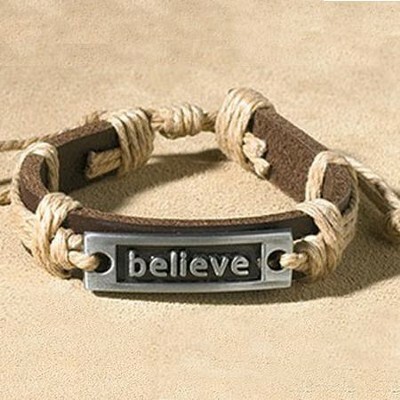 Genuine leather bracelet in brown with braided rope accents, rope tie closure and pewter tag believe in raised lettering. 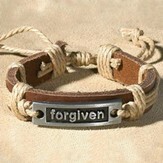 Trendy accessory for today's Christian; adjustable 8" size with rope tie closure. I'm the author/artist and I want to review Believe Bracelet.